You are here: Home » Blog » Tech » Galaxy S8 Vs. iPhone X: Which One Is For You? Samsung and Apple have been in direct competition with one another over the years. 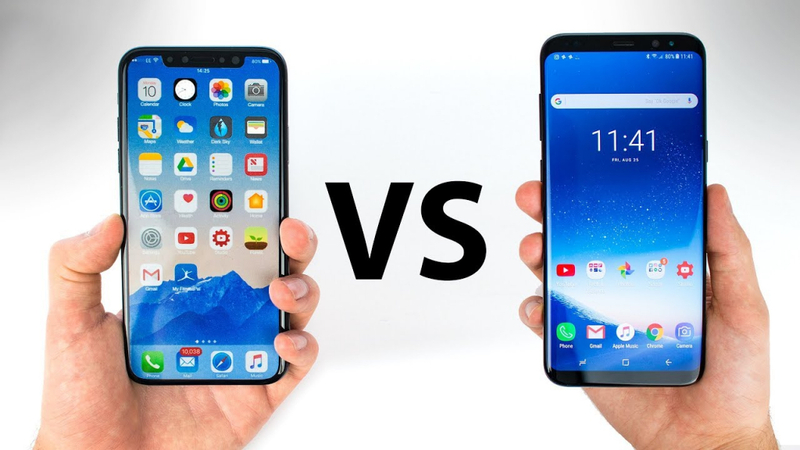 Both create quality and highly attractive smartphones and, as of late, those phones have become more similar in appearance and features. Many consumers are either firmly an Apple fan or a Samsung fan, but now that trend is starting to change. These two phones have many things in common. Here’s a breakdown of a few common specifications of the Galaxy S8 and iPhone X. See which phone is best for you. When it comes to price, both of these phones hit the wallet pretty hard. The iPhone X is pretty well-known for being the $1000 iPhone. However, the Galaxy S8 is not far behind with a price tag of $750 for a Galaxy S8 and $850 for a Galaxy S8+. There is perhaps no feature more important on the smart phone than the camera. Cameras on smartphones have quickly become high-quality cameras that rival professional ones. The iPhone X has dual rear cameras while the Samsung Galaxy S8 only has one camera. However, in a comparison review, the iPhone X was superior when it came to showcasing details such as color, light, hues, and tones. If you care at all about the infamous phone “selfie” you’ll definitely think of the iPhone X’s camera as the superior choice.